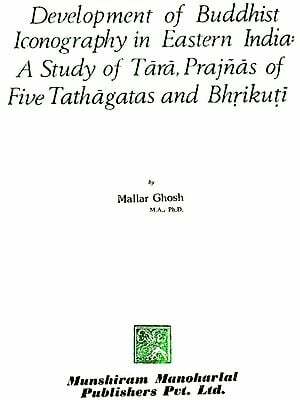 Amala Prajna: Aspects of Buddhist Studies in honour of the veteran scholar Professor P.V. Bapat, born 1894, one the pioneers of Pali studies in India and a doyen of Buddhist Studies, contains 60 articles of eminent scholars from India and abroad on various aspects of Buddhist learning. The present Volume is divided into eleven sections, viz. Pali Buddhism, Textual Studies, Mahayana Buddhism, Buddhist Philosophy and Psychology, History, Art and Archaeology, Chinese and Japanese Buddhism, Comparative Studies, Buddhism and Western Thought, Modern Buddhism, Present Buddhist Studies and Miscellaneous. 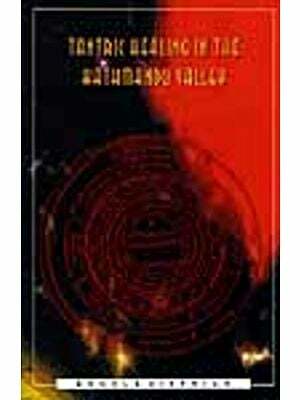 Some of the contributors are Hajime Nakamura, H. Saddhatissa, H.D. Sankalia, Alex Wayman, K. Satchidanand Murty, Lokesh Chandra, P.S. Jaini, K.R. Norman, B.G. Gokhale, Heinz Bechert, R.C. Pandeyua, Yun-hua Jan, Akira Yuyama, and others. Professor P.V. Bapat has always commanded international respect for his researches on textual studies in Pali, Sanskrit, Chinese and Tibetan. M.A. from Bombay Bombay University and Ph.D. from Harvard University (U.S.A) and former Professor of Furgusson College, Poona Professor Bapat was invited o the Chair of Buddhist Studies in the University of Delhi to be its first incumbent. Widely travelled abroad in U.S.A., Europe and Asia, with eleven books and more than 150 articles and reviews Professor Bapat has a wider interest in Buddhist Studies, Indology and allied disciplines. The Volume contains Pali verses from Bhadant Maramba Ratnasara (Sri Lanka) and Sanskrit verses from Professor Shanti Bhikshu Shastri (India) in honour of the distinguished savant and a biographical note from Dr. N.H. Samtani, Professor Bapat’s first research student in the Department of Buddhist Studies, Delhi University. The present work is edited by N.H. Samtani, former Chairman Department of Pali and Buddhist Studies, Banaras Hindu University and Hon. Dy. Director, Bhikshu J. Kashyap Institute of Buddhist and Asian Studies, Sarnath and H.S. Prasad, M.A. (Banaras Hindu University) and Ph.D. (Australian National University, Canberra), UGC Research Scientist- ‘B’ (Reader) Department of Philosophy, University of Delhi. It is a matter of great pleasure that we are able to present Professor P.V.Bapat Felicitation Volume entitled Amala Prajna: Aspects of Buddhist Studies before the world of scholars. It has, however, taken quite a long time for the volume to go in print. We have always prayed--if there is a place of prayer in Buddhism—that our greatly revered teacher should live to see this Volume in his life time. We are happy that Professor Bapat is with us to accept our humble tribute. The response to our invitation for contributions had been very encouraging which shows the great admiration Professor Bapat commands. We are only sorry that we could not reach all the admirers of Professor Bapat due to our ignorance and also because of the limitation of space. Professor Purushottam Vishvanath Bapat will complete 100 years in 1994 (only five years hence). We are glad that he continues to be at the head of scholarly fraternity in the realm of Buddhist Studies in our country. He is for us a model of dedicated life of learning. This volume should have been published much earlier but it seems as the age of person is destined, the time of publication is also predestined. However, the editors are somewhat responsible for the delay that has occurred due to the circumstances beyond their control. The prefatory title Amala Prajna (Stainless Wisdom) is borrowed from Kosasthana I, Karika 2a of Vasubandhu’s celebrated work, Abhidharmakosa. We have only taken the liberty of reversing the order of words for typographical convenience. We bow in gratitude and reverence to this great Master and the Commentator par excellence of Buddha’s words. We are thankful to the eminent scholars for their valuable contributions to this Festschrift. There can be no better tribute paid to a veteran scholar than by writing for the Volume in his honour. The gift of writing on dhamma which includes prajna (Pali pana) from various aspects for a dedicated scholar excels all other gifts (cf. sabbadanam dhammadanam jinati. Dhammapada 354a.). It is with a sad heart to write that some contributors, we H-wishers of Prof. Bapat and members of the Felicitation Committee passed away in the course of time. They would have been very happy to see the present Volume. We have no power over the destiny of beings but we wish them peace and happiness (nibbuti across the mundane world. We remember Professor P.S. Jaini, one of our contributors and a member of the Felicitation Committee had written to us that bringing out a Felicitation Volume was a most frustrating affair due to problems of money, the press and publisher. We did not realise the significance of words at that time. We, however, did realise the difficulties during our negotiations for the publication of the Volume. A few words about the arrangement of sections will not be out of place here. We have tried to put articles in some main sectional headings but it is possible some contributors and readers may not find them quite appropriate in accordance with the titles of articles. We would crave their indulgence. 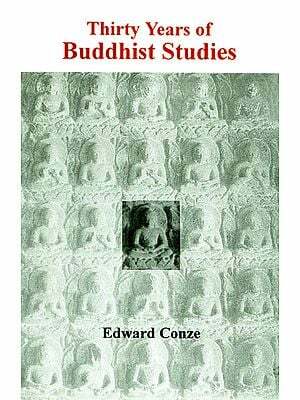 The last section is captioned Miscellaneous which contains articles from a few admirers of Professor Bapat which do not strictly come under the area of Buddhist Studies. But we have allowed this exception to honour the wishes of some eminent scholars who wanted to be associated with this Volume. Now a few words about our limitations. In spite of our best efforts-to present the articles in as correct a form as possible, some printing errors, including omission of diacritical marks may be observed by readers for which we seek their indulgence. Also due to lack of time we have generally retained author’s own style of abbreviations and bibliographical reference material which may show some lack of uniformity in the Volume. For all this, we would like to be pardoned. Professor A.L. Basham, who is unfortunately no more with us, had expressed his wish that Professor Bapat may see a hundred years (saracchatam pasyatu). We join in the prayer of late Professor Basham and wish Professor P.V.Bapat a happy and healthy life of more than hundred years. May he be a beacon for the pathfinders. Finally, we thank the proprietors of the Indian Books Centre for including this Volume for publication in their series and publishing in such an elegant format. May they earn the merit of their goods deeds. Among the veterans in the field of Buddhist Studies, Professor Purushottam Vishvanath Bapat stands in the front rank. Even at his advanced age of 95 years he continues to inspire us young and old by his contributions, personal interviews and correspondence. He is a living monument of learning and wisdom and a source of great inspiration. Professor P.V.Bapat was born on 12th June, 1894 at Sangli (one of the former states of Southern Maharashtra). He had his primary education at Paithan and Nanded (in the former state of Hyderabad Deccan), High School education at D.E. Society’s New English School at Satara and his College education in the prestigious Fergusson College of Poona. While he was studying in the first year at the Fergusson College in 1912, Professor Dharmanand Kosambi, one of the leading scholars of Pali Studies at that time in India, was appointed Professor of Pali in the College. Professor Bapat was among a few students who offeredPa1i as a principal subject for his study at the postgraduate level and he considered his privilege to complete his studies under the direct guidance of Professor Kosambi. He obtained his T-faster’s degree in Pali from the Bombay University in 1919. After passing his M.A. Examination, he joined the famous Deccan Education Society, Poona as a life-member in 1920. As a life-member, he worked in various capacities in different institutions of the Society, one of which was to teach Pali in the Fergusson College. Along with teaching, he cultivated an intense interest in research also. At the recommendation of his late guru, Professor Dharmanand Kosambi, Professor Bapat was invited In 1929 by the Harvard University in the U.S.A. to work on the English translation of the Visuddhimagga, the encyclopedic work of the celebrated Buddhist Master Buddhaghosa. This work is still awaiting publication. Professor Bapat secured Ph.D. degree of the Harvard University and also learnt Tibetan and Chinese in the same University. Professor Bapat returned to Poona in 1932 and continued teaching Pali in the Fergusson College. In 1945, he was invited by the Visvabharati, the University founded by Rabindra Nath Tagore at Santiniketan to work on a research project in Chinese Buddhism. He translated Arthapadasutra in English and studied the Chinese version of Pali text Samantapasadika', the volumunious commentary On the Vinayapitaka. He remained in the Visvabharati till 1948. In 1953, Professor Bapat was sent by the Indian Council For Cultural Relations, New Delhi, on a study—tour to survey the state of Buddhism at that time in the South-east Asia, viz. Burma, Thailand, Cambodia, Laos and Vietnam. It retiring from the Fergusson College in 1954, Professor Bapat was commissioned as the Chief Editor by the Ministry of Information and Broadcasting, Government of India, to edit 2500 years of Buddhism which was published in 1956. The volume received a warm welcome in the academic circles in India as well as abroad and it has been reprinted many times. In 1956 Professor Bapat visited China as a leader of a cultural mission under the auspices of the Indo—China Friendship Association. Professor Bapat’s last teaching assignment was in 1957 when he was invited by the University of Delhi to organise the first Department of Buddhist Studies in India. It was established during the Buddha Jayanti celebrations on international level at the time of 2500th year of the Buddha’s Mahaparinirvina. As the first incumbent of the Chair of Buddhist Studies, Professor Bapat laid special emphasis on the research programme and planned the development of the Department accordingly. It was for the first time that Tibetan and Chinese Studies also received special attention in the academic courses leading to doctoral degrees. The Department gradually began to attract foreign students because of the international status of Professor Bapat. He retired from the Delhi University in 1960 and returned to Poona to continue his unfinished academic work. Professor Bapat’s penchant for serious academic pursuits had never waned inspite of his advancing age. In view of this, the University Grants Commission made a special grant to Professor Bapat in 1965- 66 to complete his work on the English translation of the Chinese version, Shan—chien p’i-p’0—sha, of the Pali Vinaya Commentary Samantapasidika. He successfully completed the work and it was published in 1970. In view of the manifold contribution in the Held of Buddhist Studies, Indology and the allied subjects Professor Bapat was honoured by being elected to the General President ship of the 27th session of the All-India Oriental Conference at Kurukshetra University in 1974. With the help of Professor V.V.Gokha1e, his colleague and successor in the Delhi University, Professor Bapat edited the first chapter, Pravrajyri-Vastu of the Vinaya-sutra by Gunaprabha with his auto- commentary which belongs to the Mulasarvastivada school. The missing portion of the Sanskrit text is translated from the available version in the Tibetan. Professor Bapat has widely travelled in America and Europe and also in the Buddhist countries of Asia viz, Nepal, sn Lanka, Thailand, Cambodia, Laos, Vietnam, China and Japan and has been able to get the first hand knowledge of earlier and later phases of Buddhism. Concerning the prospects of Buddhist Studies in India Professor Bapat has a broader perspective. His views are quoted from one of his letters to me. Prof Bapat does not believe in giving importance only to one particular branch of Buddhist Studies. He is of the opinion that if any serious research work is to be done by Pali scholars, it is necessary that they should have good grounding in Sanskrit as well. They should even be able to read relevant works in early Sanskrit, viz. Vedas, Brahmanas and Upanisads apart from the Buddhist texts in Sanskrit. For this purpose he thinks it is necessary to relate Pali and Sanskrit Studies by making it possible for candidates to take up both Pali and Sanskrit at the B.A. and M.A. examinations as the facility is available in the Bombay and Poona universities. They can take either Pali or Sanskrit as the principal subject and the other language as subordinate. An Honours candidate should take up six papers in one language and two in another. In Western countries and Japan, Professor Bapat observes, the teachings of Pali and Prakrit along with Sanskrit is quite common. Such students as have knowledge of the three languages evidently are able to do better research work. In India also we should encourage this methodology. The Bibliography of Professor Bapat’s works (books, articles and reviews) running into 163 items speaks of his wider interest in Buddhist Studies and other allied disciplines. His devotion to academic pursuits indeed provides in words of the late Professor A.L. Basham “an exemplary model for younger students to follow”. I conclude this note with the Pali phraseology wishing our distinguished savant and my revered teacher a happy and healthy life.